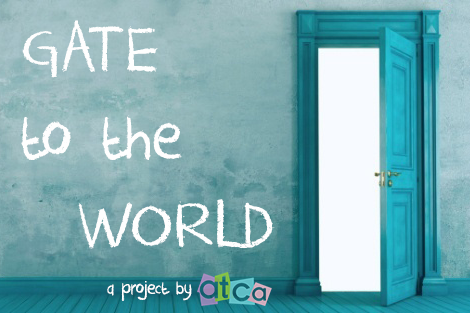 Our project „Gate to the World” is currently registered in a national Romanian competition in which obtaining the highest total of donations from the highest number of donors would mean doubling of our gathered funds. Therefore, if you can also spare some time to share this story, we would be grateful. How much is the word MOM worth? For a healthy child, a word can be the score on the SCRABBLE tab. For an ASD child, the word MOM is counted in tenths or even hundreds of ABA (Applied Behaviour Analysis) therapy hours. We are AUTISM VOICE (Romanian NGO, Association for Assisted Behavioural Therapy) and in our centres, 15 children come from extremely vulnerable environments, some of them have no one to call MOM, as they are brought to therapy from orphanages, others are brought by the hand from hundreds of kilometres away, no matter how bad the weather is. Our project – Gate to the World – is the chance towards recovery for these 15 children, to whom we offer the therapy free of charge, so they can live together with us, our equals, day by day. The therapy hours are, however, as most of you know, expensive. Training for the therapists, materials, therapy rooms, periodical evaluations – all this amounts to a yearly total of approximately 45,000 EUR / 38,000 GBP. Gate to the World, our project dedicated to them, is our struggle dedicated to gathering the funds for their only chance to recovery. The funds are meant to ensure therapy continuation in 2018, thus bringing them closer to a better life in families, kindergarten, school, in the community. Therapy teaches them how to love, play, communicate, make themselves understood. You can donate any amount starting from 1.5 EUR/ 1GBP (RO equivalent is approx. 5 RON) – any amount helps them. You would thus contribute with what might be the hour to help Miriam smile, or Elena to be able to go to sleep listening to a story, or for Marian to eat by himself… This is stuff that might seem simple to us, but to them they are challenges impossible to handle without specialized help. Autism is dependency from an adult. Therapy is vital and the only chance for an autonomous life, with 10 years of experience, AUTISM VOICE has become a professional standard with remarkable results in its autism interventional programs. For 15 abandoned or poor children, but with a terrible force to evolve, their only chance is that AUTISM VOICE would continue to treat them. Please, then, donate so we can open together the Gate to the World for these 15 angels. You are thus donating so we can open together the Gate to the World for 15 autistic children. And we thank you for that! Founded in 2008, the Association of Applied Behavioral Therapy – AUTISM VOICE has become a professional standard through remarkable results in intervention programs for children with behavioral and autistic spectrum disorders and has specialized in the field of ABA therapists in Romania. The president of the association, Anca Dumitrescu, is the first Romanian specialist accredited to ABA. Expertise and collaboration programs with universities and professionals from abroad allowed the association to be a co-organizer of the ABA International Conferences in Bucharest in 2010. Since 2015, AUTISM VOICE is accredited as a provider of continuous training (ACE provider type 2) by BACB – the only institution that accredits ABA practitioners worldwide. Thus, AUTISM VOICE is the only institution in Romania that accredits ABA specialists at national level. AUTISM VOICE has established two treatment centers, where 139 children with behavioral and autistic disorders are helped by ABA rehabilitation therapy. Our association provides free of charge support, from its own sources, for teachers and parents from all over the country. Over the past eight years, AUTISM VOICE has formed over 1,000 therapists, delivered over 1,000 hours of free-of-charge teacher training for the integration of children with disabilities in school and over 1,000 hours of free classes for parents with children with behavioral and autistic spectrum disorders. The AUTISM VOICE MISSION is to support by specialized therapy (1: 1) the evolution of children suffering from medium-level behavioral disorders (ADHD and ADD) or autistic spectrum and to offer current training courses, methodologies and tools, scientifically proven the most effective in guiding and managing behavioral disorders. Training courses address all those involved in the guidance and development of atypical children: parents, teachers, educators and therapists. Awareness and responsibility towards these children, social group involvement in community acceptance and integration, education and trades of these children are VALUES that guide us all the actions and projects we generate for the benefit of a high society functional from a human, behavioral and social point of view. In our VIEW, behavioral disorder is an aspect of the natural process of life, so it is natural to support through specialized actions and unanimous efforts the healthy development of the affected children. We are responsible for the destinies of children with autism, and our involvement is their unique chance for a balanced life. Full details available (in Romanian) on www.autismvoice.ro.